There's also something special peaking out in the first picture. Can you tell what it is? Now it's time for me to share the wealth! One lucky winner will win 10 - 5" strips from my collection of Stash Builder rolls in the colors of their choosing! That's equivalent to over 1.5 yards of fabric. 1. Leave a comment telling me about your favorite batik project that you've made. If you've never worked with batiks, tell me why not! 2. If you follow my blog or Honey, Bunny, and Doll Designs in some form or fashion (FB, Bloglovin, IG, etc.) leave a comment and tell me how you follow. 3. 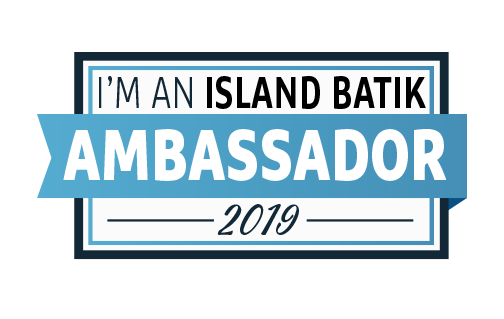 If you follow any of the other Island Batik Ambassadors in some form or fashion, leave me a comment and tell me who you follow. 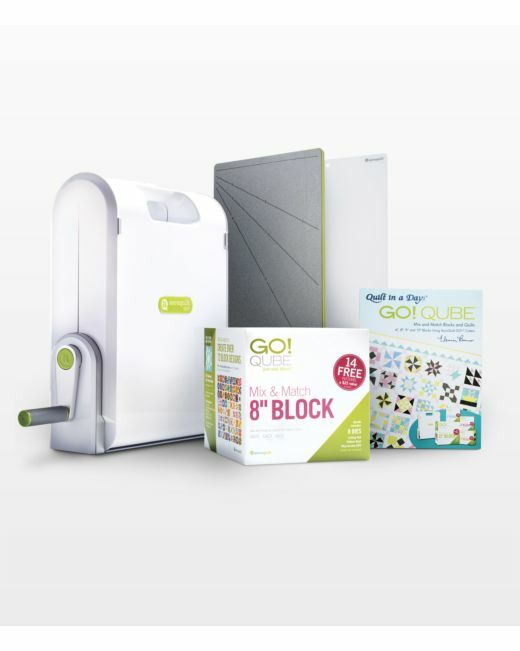 Update 2/19/19 -- I have closed the giveaway and the winner is Lee! Here is the line-up of Ambassadors for 2019, I'm SO EXCITED about some of the new ladies and gentlemen joining us this year! Congrats on your new home and what a house warming gift indeed!! I've done one batik project...a quilt for my sister-in-law, rail fence pinwheels from Jordan Fabrics. It was beautiful. I don't do a lot of batik. My local quilt store doesn't keep a lot of them When I've been to other shops, I'll pick up some fq and hoard them until I get enough for a new project. You are the only one I follow from this list. I should check some of them out. I made a rail fence lap quilt with a strip of batiks. The colors in batiks are wonderful. What a treasure box! That will go a long way toward making a new house feel like a home. I follow you via email: wordygirl at earthlink dot net. I also follow Jennifer Fulton, Leanne Parsons and Laura Piland. I follow many of the IB Ambassadors--the blog hops have been great for introducing me to new people to follow. I'll give a shout-out to Connie at Freemotion by the River as one I've been following for a long time. She's anticipating a move, too. I made a quilt on a quilt cruise from batiks that is gorgeous. Also like to use batiks for totes and purses. That is a lot of treats!! WOW! I follow you through email, and also Connie and Bea. My favourite batik quilts have been the dye cut kits from John Flynn... perfectly pieced! I love using batiks. My favorite projects were some McKenna Ryan applique quilts. I follow Mary Mack’s Blog among others. What a fun box! My favorite project is a whole cloth lap "quilt" I made my husband when we were dating. I learned how to blind stitch the binding for the first time and when I gave it to him I said, "Look! You can't see the stitches!" We still laugh about that. I love batiks so much! I made two batik quilt tops...still waiting for my brave self to show up and quilt them! I also made a table runner for my sister with batiks. I also follow Living Water Quilter, mmm! quilts and Slice of Pi Quilts...on Bloglovin. I love batiks. But I haven't yet made any projects with them yet. I do have a stash of them, but the reason I haven't used them yet is that they are just way too pretty and I guess I'm just waiting for the perfect project to use them in. I know, I know, that's lame. Enjoy your new goodies and house. Congrats on your new home! I have made a lap quilt w/ batiks for my daughter - she also loves them! I also follow Free Motion by the River and Moosetash quilting! Great housewarming gift! I usually give a bottle of wine and a package of toilet paper (a luxury and a necessity...). My favorite batik quilt of all time was the Java House Quilts dolphin pattern. I made it for my daughter to take to college. She still has it and loves it! And I also follow Sandra Walker , Jennifer Stauser, and Tish Stemple via Bloglovin. My daughter Susan and I went on a cruise to the Caribbean where I bought some batik. I made a quilt using that fabric and called it "Cruising with Susan." I follow you on Blogvin. I made two Batik table runners for my friends who retired a couple of years ago and they were so gorgeous that I really wanted to keep them! I do know that th runners are cherished and treasured by my friends. I do follow your blog and get your emails. It might be easier to list which ambassadors I never discovered to follow! Here are a few that I do: Gene Black, Connie Campbell, Mary McAuliffe, Kathleen McCormick, Michelle Roberts, Anita Skjellanger, and Sandra Walker. I made a Hidden Wells quilt for my SIL out of batiks as a memory of a trip the family took to Hawaii. Love the quilt!! The other Ambassadors I follow the blogs of are: Connie K Campbell ~ Freemotion by the River, Becca Fenstermaker ~ Pretty Piney, Jennifer Fulton ~ Inquiring Quilter, Dione Gardner-Stephen ~ Clever Chameleon, Vasudha Govindan ~ Storied Quilts, Carla Henton ~ Creatin' in the Sticks, Joan Kawano ~ Moosestash Quilting, Kim Lapacek ~ Persimon Dreams, Bea Lee ~ BeaQuilter, Denise Looney ~ For the Love of Geese, and Laura Piland ~ Slice of Pi Quilts...at least I think those all the blogs I follow!! The first quilt I made with batiks was a Turning Twenty quilt for my oldest daughter. I love the saturated colors of batiks. I also follow by email Freemotion by the River and mmm! Quilts. The other ambassadors I follow are Pamela Quilts, Bejeweled Quilts by Barb, Sarah Goer Quilts, Creatin in the sticks, Kauffman Designs, Free-motion by the river, Moosestash Quilting, Bea Quilter, Mary Mack, and Creative Blonde. It's so much fun to see what you ambassadors receive. I've made a quilt top of batik, it still needs finishing. I follow Pamela Quilts and some others. My favorite batik project I made is a small quilt representing Peace, Love and Rock 'n Roll. It's shown in my icon pic. I follow several of the Island Batik Ambassadors. Here are just a few: Gene Black, Carla Henton, Joan Kawano, Kathleen McCormick, Laura Piland, and Pamela Quilts. I made a Bento Box quilt in batiks for myself (finally), some table toppers too. I also follow Connie at Freemotion by the River, Mary Ellen at Mary Mac's blog, and Sandra Walker at mmm! Quilts. I made a batik sampler that I named Batik Overload. It won first place at our local guild show. I also follow Moosestash Quilting and Studio Bill Locke as well as you. I follow y'all on Bloglovin. I'm making a batik table topper now with some blocks from the pattern Chicken Buffet. It's a fun applique project for my kitchen. I follow you with bloglovin. Congratulations on your new home! I try to follow all of the Island Batik ambassadors to be inspired by all of the great projects. I may be missing some of the newest ones. I made a batik quilt for my sofa that I really like. I follow Pamela Quilts, Jennifer Fulton, Kathleen McCormick, Laura Piland and probably more; there are many familiar names on the list. I have used bits & pieces of batiks in quilts. I absolutely LOVED adding them to a Seahawks chairty quilt and they give wonderful dimension to my 3 1/2" log cabin blocks! I follow @prettypiney, moosestash quilting and a couple others! I love Batiks. I have a Hunters Star at the Longarm Quilter's right now. I've been buying batiks, but the only ones I've used so far have been for another quilter in a block exchange. I want to do some applique with them because of the variation in colors. Congratulations on your new house! I know moving in a lot of work, but what fun too! My favorite batik project is a purse that I use everyday. I follow you via Bloglovin. Thanks for all the inspiration that you provide! I've never made something with batik but I only started quilting in December so ALL things are pretty new to me. My first batik project was inspired by My Guy who saw a pattern in one of the quilt shops made from batiks. Rather than telling me that's what he wanted for our bed, he kept asking me to look at the quilt and the pattern. Finally after the 4th time, I asked if wanted to pick out fabrics for it. That was 13 years ago, it's still on our bed. I love all of the quilts I have make using batik fabrics so I really can't pick a favorite. I especially like a few of the quilts that I made when I took mystery quilt classes. I follow you by email. I am really enjoying getting to see what all the Island Batik Ambassadors make with their fabric. I follow Pamela Boatright, Connie K Campbell, Kathleen McCormick, Sandra Walker, and probably a couple of other Island Batik Ambassadors. It is so much fun to see what everyone is doing. I follow Moose Stash and a few others. I check your blog twice a week to see what you are up to. I made a graduation quilt for my niece. It was a black and white sampler quilt with pops of a bright turquois batik. I loved it and so did she.